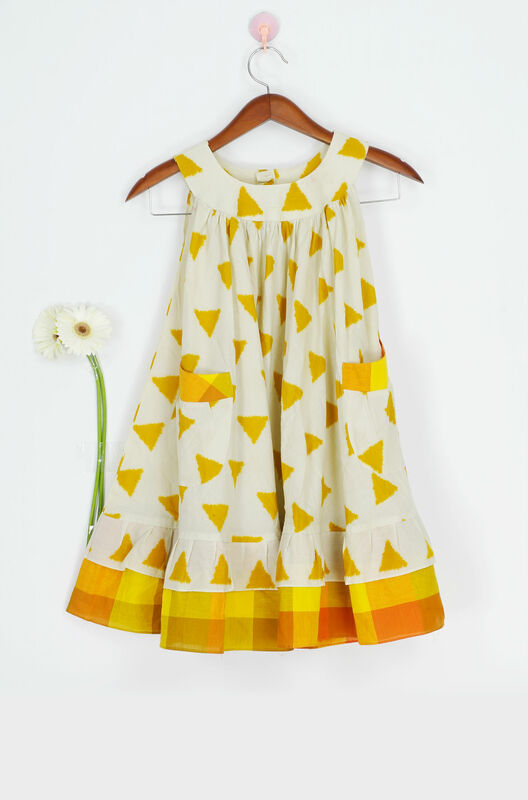 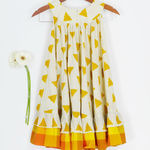 Off white round collar dress with mustard triangular block print all over. 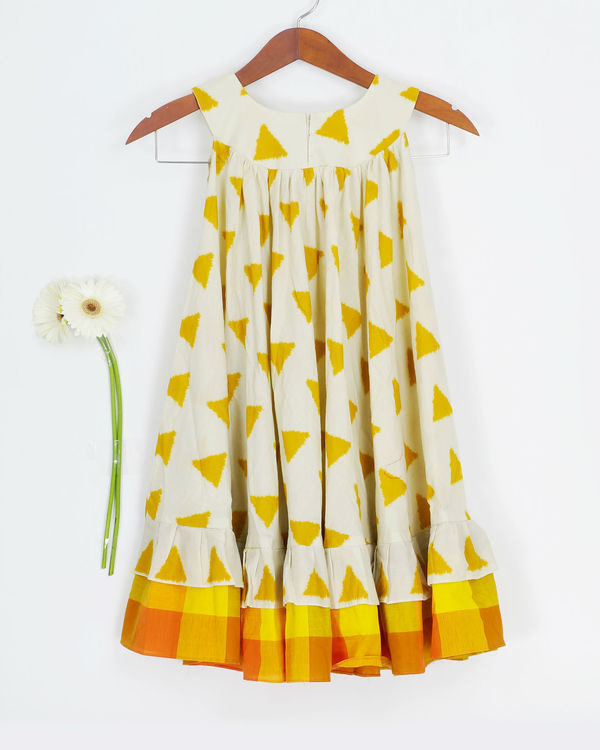  What better way to master geometry than through a bright summery dress! 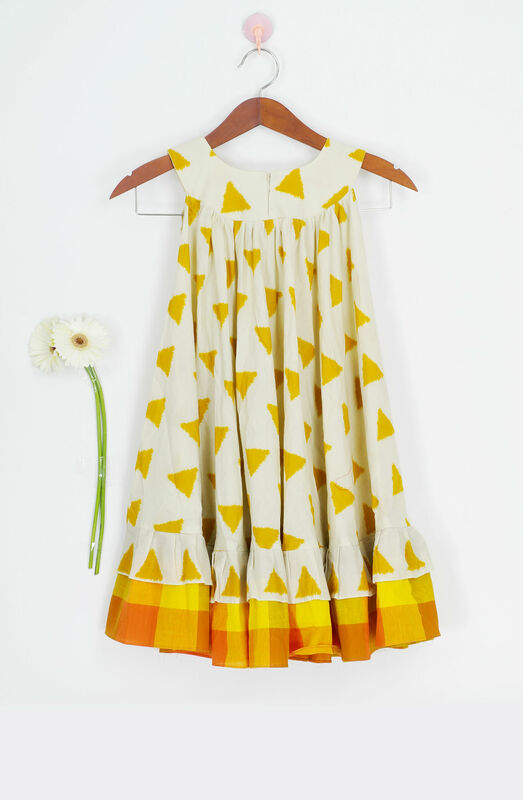 2-4 Yrs: Chest -21", Waist -19.5", Hip -22"
4-6 Yrs: Chest -23", Waist -21.5", Hip -24"
6-8 Yrs: Chest - 25" Waist - 23.5" Hip -26"
8-10 Yrs: Chest - 27" Waist - 25.5" Hip -28"